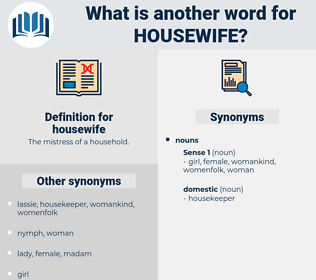 What is another word for housewife? 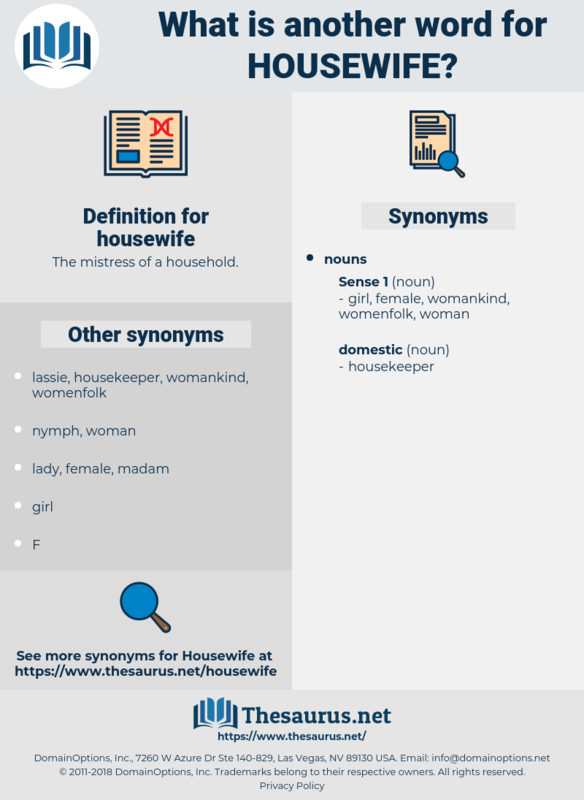 The mistress of a household. So also the housewife should, before turning the cows out to grass for the summer, tie a switch of mountain ash with a red worsted thread around the cow's tail. Many times he had discovered that the little woman who professed to be nothing but a housewife, and very rarely gave forth any definite opinions of her own, said things from time to time which almost blew the roof off the shop.